No collecting permit is required from the Malaysian Wildlife Department for collection of any other insect except for protected butterflies which are of the the family of Papilionidae of the genus:Troides and T.brookiana. Permit for collecting these protected species can be obtained from the Dept. for a fee. CITES permit required for export of these protected species. A permit is required too for the capture and export of reptiles, mammals and amphibians of those which are protected. CITES permit obtainable at the Dept. offices at the cities of Kuala Lumpur and Penang. Collecting permits at all offices. In the state of Sarawak in East malaysia,any forms of collecting of Sarawakian flora and fauna requires a PERMIT from the Sarawak Biodiversity Council.Offence carrying a penalty of RM20.000 fine or a three year jail sentence or both.Malaysia Government will soon propose a new law forbidding collecting of any specimens of flora and fauna in the jungle for the entire country without a permit from the Biodiversity council.The law is now being prepare and will table in the Parliment in due time. The official language is the Malay language. However, English is widely spoken. "Pergi ke mana?" means: Where are you going? Other spoken dialects spoken by the Chinese Malaysian are: Cantonese, Hokkien, Hakka, Mandarin and etc. Communication to all different communities can be done by either Malay or English languages. 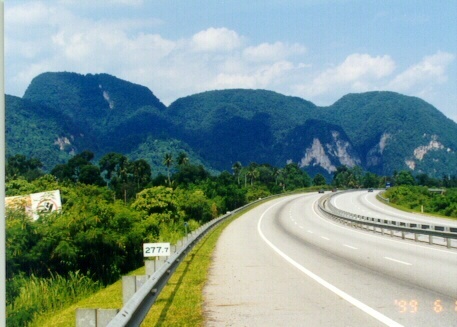 Malaysia has a good network of roads. 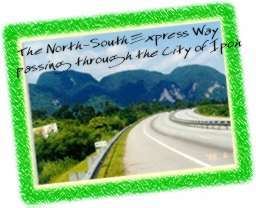 The 4 lanes toll North-South Expressway running from the border with Thailand in the north to the border of Singapore in the south makes travelling effortless. Public trasportation of inter-states express buses, train and plane plus taxi runs regularly. Numerous un-tolled roads system (Federal Route 1) connect all towns Throughout the country. International car rental firms have offices here. The Malaysian Government aims to attract 20,000 foreign retirees to gain resident status in Malaysia in three years under a revamp of its Silver Hair Programme which has been renamed "Malaysia-My Second Home". Under the programme,those who are above 21 years of age can reside in the country indefinately through a renewal of their visit pass and multiple entry visa once every 5 years. The programme was introduced by the government in 1987. So far 350 foreigners have applied. The programme aims to attract foreign citizens and retirees to adopt Malaysia as their second home. To qualify for the programme,an applicant must not be less than 21,while there is no age limit for the spouse. An individual participant must have a monthly income of RM7,500 (US$1.00=RM3.76) or RM10,000 for a partcipant with a spouse. Alternatively,the individual participant must deposit RM150,000 in a local bank or financial instituition,and the amount is RM150,000 for a participant with a spouse. Other requirements include a medical insurance policy. Participants can bring along their children and maid subjected to the normal terms and conditions under the Immigration Act.Their children can enrol in local school or other Institutions. They may also purchase up to 2 houses above RM250,000 range only. Working in the country is not allowed unless they are specialists in certain field. (Source:The Star) For further detail,contact the Malaysian Embassy in your country or go to:www.mocat.gov.my and www.kdn.gov.my or www.imi.gov.my.Anyone who are keen to stay and collect insects here,give it a try! "IN THE 1960S, ANIMAL BEHAVIOR RESEARCHERS STUDIED THE EFFECTS OF VARIOUS SUBSTANCES ON SPIDERS. WHEN SPIDERS WERE FED FLIES THAT HAD BEEN INJECTED WITH CAFFEINE, THEY SPUN VERY "NERVOUS" WEB"